Conspiracies in the extraterrestrial department have always constituted the residue of superstition in a secular age. Chase away a Christ figure, or ward off God, and the mind still wanders, hoping to be bewitched. If something cannot be explained, ignorance furnishes an often poor substitute. The concept of extraterrestrial phenomena straddles scientific probabilities, faith and the sense that governments might not be telling their citizens the whole truth. 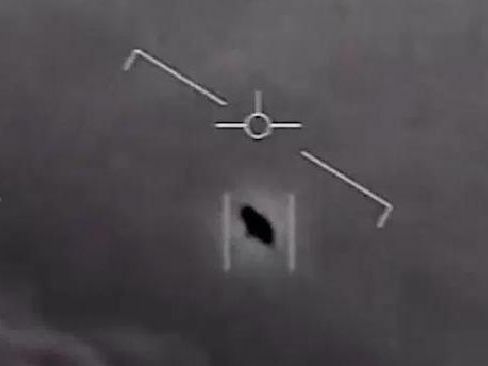 Rarely, for instance, does speculation on extraterrestrial research feature in the mainstream press, though the New York Times decided to dabble in the business of UFOs this month. 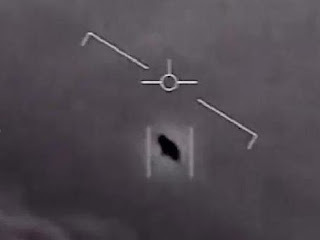 The paper noted, quite rightly, that the US Defense Department, known to most others as the Pentagon, had put aside $22 million of its $600 billion annual budget on the Advanced Aerospace Threat Identification Program (AATIP). Identifying exactly where it was in the bureaucratic apparatus remained a contrived challenge, and it had its opponents. The program, run by Luis Elizondo on the fifth floor of the Pentagon’s C Ring, was deeply concealed within the structure itself. Supposedly concluding in 2012, supporters are certain that funding continues to, if not flow then certainly trickle to it. A video shows an encounter between a Navy F/A-18 Super Hornet and an unknown object. It was released by the Defense Department’s Advanced Aerospace Threat Identification Program. By Courtesy of U.S. DEPARTMENT OF DEFENSE on Publish DateDecember 16, 2017. The study of UFO phenomena in US bureaucracy is a study of bureaucratic quirkiness itself. Shadowy and opaque, the connections stretch across from Nevada Democrat Harry Reid, himself a fan of all things space, to billionaire friend, Robert Bigelow, who happily received government sponsorship for his aerospace venture. Project Blue Book itself concluded after examining UFO reports since 1948 that no such entity reported, investigated or evaluated by the USAF posed a threat; that such sightings did not suggest “technological developments or principles beyond the range of present-day scientific knowledge” and that, perhaps most damningly of all, no sightings filed as “unidentified” could be deemed extraterrestrial vehicles. In of itself, Bigelow’s interest is admirable. But curiosity finds idiosyncratic ways of making a mark. It is not merely the scientific level that matters but one of induced faith, a Damascene conversion that turns a figure into a devotee. For Reid, a vital figure behind creating the AATIP, nothing but pride comes to mind. Reid, however, doesn’t stop there. He speaks about the findings of the Pentagon unit with a dazed piousness, telling Las Vegas news channel KLAS Channel 8, about the inherent dangers. This is the technology imperative, one constantly manifested during the Cold War: the fear that somewhere, something or someone, is so advanced as to strike terror in the human species. Behind every ET phenomenon and unidentified object is a primordial fear that another earthly being is doing better and just might be a threat. Forget the ETs: the darkness lies within. There will always be alien boffins. Some, like Douglas Vakoch, president of the Messaging Extraterrestrial Intelligence (METI), envisage a planet or planets in the universe with liquid water, hosting life. Such grounds do not sound merely sensible but probable. Then there are the Reids and the Bigelows, a mixture of political and personal enchantment, part crazed part curious. But to date, the sceptics on the current record of sightings seem to be holding the reins. The truth might be out there, but it remains happily inscrutable. The real X-Files: Is the truth really out there?